The Rebel Sweetheart. : Ideas for Garden Storage. Whether your garden's in desperate need of organisation, you have just taken up gardening or you want somewhere to keep your bike, you'll have to review your outdoor storage options. Below, I've given you a quick run-through of the main types of garden storage - hopefully, this'll help you work out exactly what you need. These days, more and more of us are cycling. Whether you've swapped your car for your bike on your daily commute or you've been inspired by Bradley Wiggins to start pedaling at the weekend, you need somewhere safe to stow your wheels. If you have a garden, a bike shed really is worth investing in, since these keep cycles out of sight, as well as locked up - something that just gives you an extra level of protection against thieves. There are several types of bike shed on the market but, personally, I think models with double doors are best, as these make it a lot easier to get bikes in and out. However, there are smaller options with a single door that are great for small gardens. Whatever you choose, you need to remember to affix a sturdy lock. Preferably, pick a shed that comes with a lock already, and then add your own for additional security. Yes, I realize virtually all sheds could be described as storage sheds, but in this instance I'm referring to sheds specifically designed for overall garden storage. So, unlike bike sheds, they're not created to hold any one thing, while they're also not intended as a place where you can work. Like bike sheds, these come with either single or double doors; if you're planning to store large equipment, the latter is best. You'll also need to choose between metal and wood. On the whole, wood is more aesthetically pleasing, but metal will be more secure - and a little easier on the maintenance front. Storage sheds also often come without windows. I think it's worth opting for this kind of design, since the lack of windows means your possessions aren't on display, which can help protect you from break-ins. Next on my list are workshops. If you like tinkering with your car or tackling other big projects, workshops are the ideal place in which to do so. Obviously, the key thing to look for in a building like this is size - a lot of garden workshops are as big as 10 ft x 12 ft.
Not all of them come with windows, so you'll need to think about adding some artificial lighting to the space if that's the case with your chosen design. However, there are models that do come with windows, and personally I think the natural light is an advantage in any workshop. By multipurpose garden shed, I'm referring to the kinds of sheds that you could easily use for a lot of different things. These are typically reasonably roomy, have a few windows and are made of wood. Yes, you could use them just for storage, but they can also act as a great place for you to carry out little gardening tasks (like potting plants) away from the cold, or even to use as something like a home office. These come in a huge range of shapes and sizes - check out the Waltons website for examples - so they're equally as versatile in terms of the kinds of gardens they're suitable for. 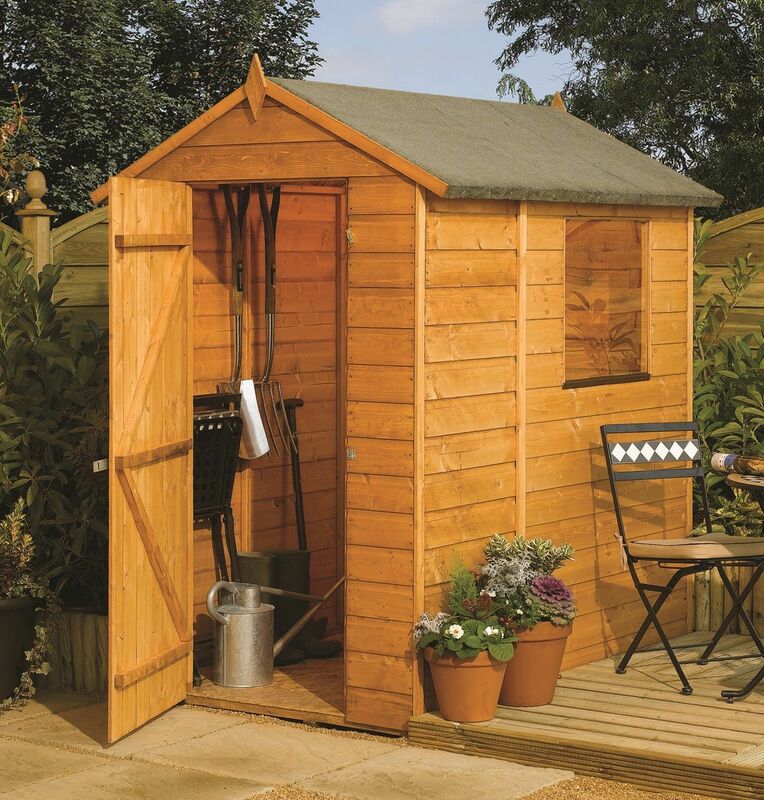 If you have a small backyard, for instance, I'd recommend getting a corner shed, since these can be tucked away in a corner, thereby making the most efficient use of the space you have available.